My hands are not feeling skillful as I create this post, though, tingles and electric shock sensations are hopping from finger to finger in each hand. My right foot and leg on fire (not really, but they FEEL that way). Sometimes MS is really quite annoying (and painful) and well mysterious too. I am using these sensations as points of focus for meditation. Why not explore them from the inside instead of getting caught up in frustration? So if I'm not by to visit much for the next few days, again...depending on how long this goes on...it is because typing is a bit difficult. But I trust that this will pass when it is meant to...another twist in the road, so to speak. It is always spiritual to drop by on you sweet Laura. I learn from you. Amidst your pain, you find a way to use it to your advantage and not let it overwhelm you into frustration. Yes, I learn from you. I clicked over to comment on your previous post and was surprised to read this update. Know that I am thinking of you whether or not you are posting or commenting. Thoughts of you are on my heart. Your frost shots are stunning! Hope you feel at least a little bit better soon! And I also love the post below this one, the one with the snow and the gate photo, so beautiful! Virtual hugs to you Laura--I'm wishing you nerves whose messages flow smoothly and easily through your body. Icy barbed wire glittering away. Hard to accept mysterious unexplained pain sensations. I haven't yet found the way to acceptance. 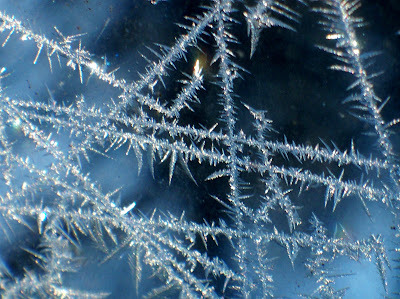 I love your frost photos Laura. These particular images remind me of the jangled nerves that cause so many of our MS symptoms. I like these frost photos. To me they seem so appropriate for your post about the tingling sensation, each one of those frosty points a tiny barb. Hmmm. My imagination is working overtime...again! ((((Laura)))) You are in my thoughts and prayers my friend. These are messages that are beautiful. I feel your creativity strongly! 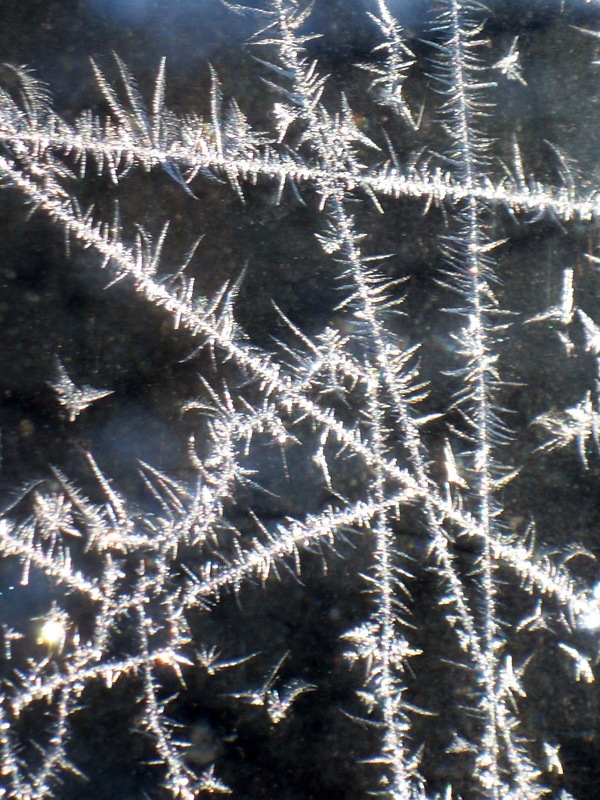 I once read somewhere that there are no straight lines in nature but that's not true for frost, is it? Some beautiful straight lines there! hugs to you, feel better soon! Beautiful photos. Hope your feeling better soon! Hope that nasty tingling goes away... Love winter's love messages on your window. Ouch. That would not be good for typing. Hope it balances back swiftly. What a winter New England got this year ! 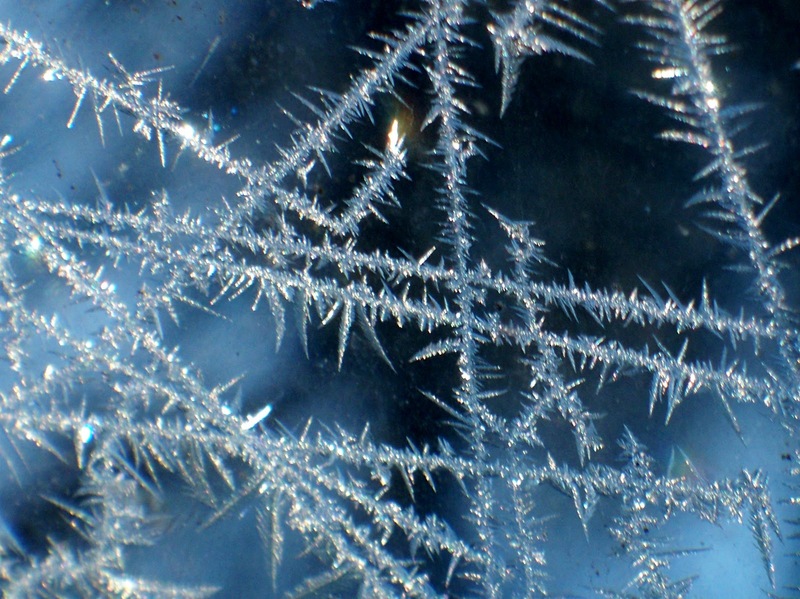 Wonder where those chipmonks r.
Hieroglyphics in frost - beautiful. Laura, your response to the universe and how it speaks to you is always a source of inspiration for me. The photos are so pretty, so gentle and delicate. Hope you'll be better soon! loving your frost graffiti... not loving the report of your pain and nerve tingling... praying that it will pass soon. Nature's graffiti is the best! I'm sorry that you're having problems. My cousin has been hit extremely hard with MS, so I do understand what you're going through. 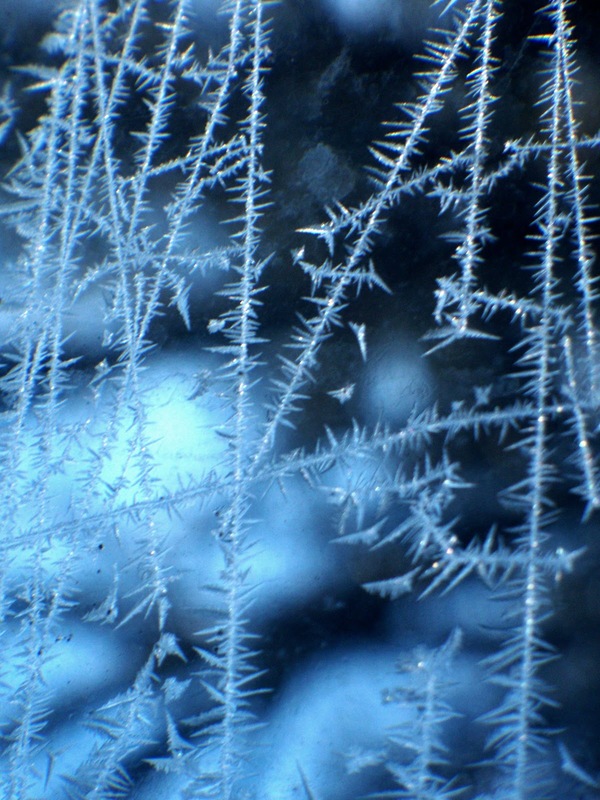 I love your frost photos! You have been on my mind and in my heart, lately. I am sorry that you are having to deal with more life-altering symptoms. This weighs heavy on my heart, dear one. I pray that things will resolve quickly. I am seeing Jen, Jack and Kate this week. I have such mixed emotions, but mostly gratitude. I will give them a hug from you. Thank you for always supporting and encouraging them. Icy runes, waiting to be read. 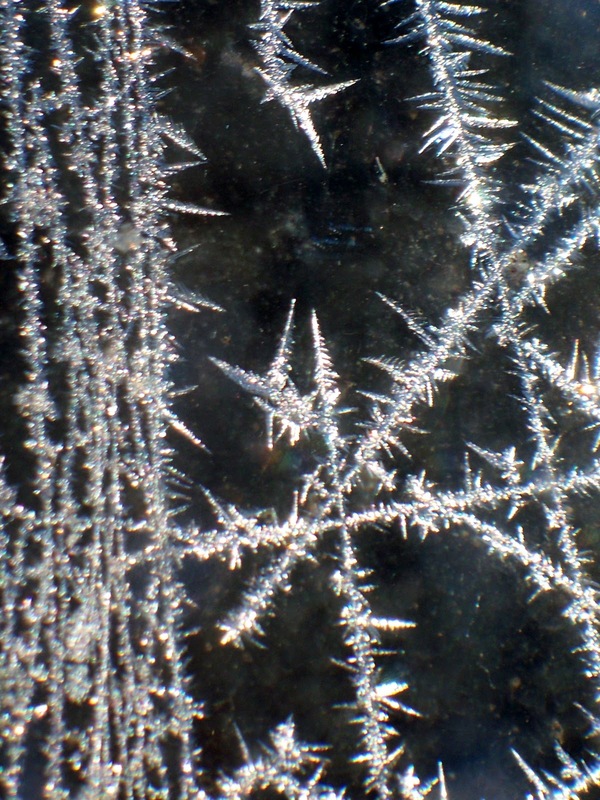 And lovely photos as well - it's easy to forget the beautiful and wonderful things about winter. Thanks for the reminder. Rest and heal, Laura. Your friends will be here. Oh, I do hope you feel better soon. I really admire your strength and uplifting outlook. Sending you best thoughts and wishing you strength. Don't worry about visits. Just look after yourself. Wrapping you up in warmth and wonder...your photos are sublime...they make me happy that I have similar images in my memory bank from my northern winters. You have the most beautiful pix on your blog. I wish I WAS creative. If I could only find my divine spark...I keep looking though! When I remember - that is!